Gevgelija is a beautiful town and also known for various cultural events that occur. Some of these events take place in the new and modern National Theatre. The theatre was built in 1995 but two times it was destroyed, once in 1990 in a strong earthquake and latter in 1996 in a flood. After these unpleasant events the theatre was not in the desired state so it can function normally. 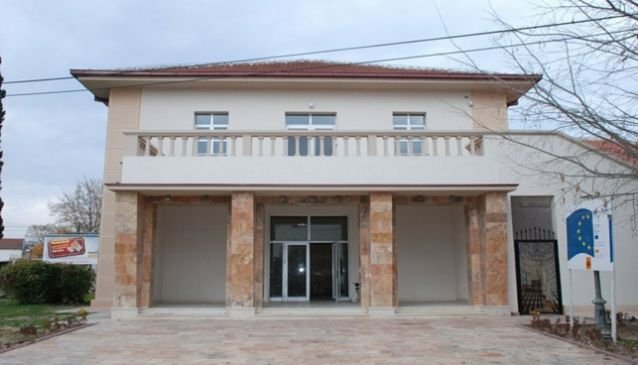 Several years later Gevgelija got a completely new theatre. Today the building is new, modern, equipped with comfortable chairs and has a big stage. Many exhibitions, concerts, theatrical plays and other cultural events occur here also the number of visitors noticeably grows from day to day. If you are looking for a place where you will spend quality time with friends or family enjoying splendid ambiance, the National Theatre welcomes all of you. The prices for the cultural events are affordable, so all you need is free time and a need for relaxation.